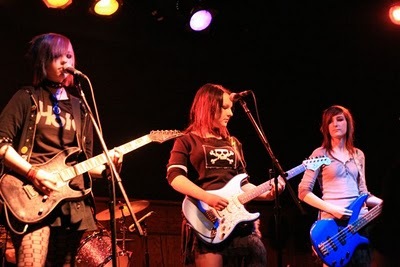 Talented teen alt/punk band, When Flying Feels Like Falling, just placed 2nd in The Battle of The Bands competition at Reggie's Rock Club, November 19th, with School of Rock! Come check 'em out rocking Metro this Sunday. Tickets are just $15 and the showcase is open to all ages and starts at 11am. We've been so busy with adult bands and shows for the littles that we almost missed the middles! 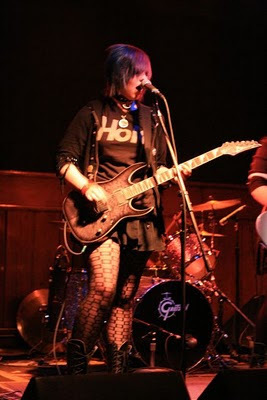 But here at ChiIL Mama we love to support emerging artists and not only bands FOR kids, but bands full of kids who are making cool music, gigging out and making a name for themselves. We have a whole series of interviews and live footage still to come, featuring Chi-Town bands full of under agers that rock! We'll be featuring Purple Apple, The Blisters, Northbrook Garage, The Socialists, and Kids These Days. So check back with ChiIL Mama like we vote in Chi, IL...early and often. We interviewed The Socialists, a Partridge Family for the new millennium, where the Dad and a whole family of kids all play together in a rockin' band that covers 80's punk and new wave classics like The Ramones, Morrissey, and The Smiths. We also shot their whole show at The Empty Bottle, earlier this year. We also had a chance to interview the kids in When Flying Feels Like Falling (WFFLF), Purple Apple and The Blisters earlier this year, when they played a Girl's Rock! Show at Schubas, and they've gotten even better since then. We've been so crazy busy this year with upcoming events, that we back burnered their feature, but we'll have their interview and a bunch of live show footage from their Schubas gig up soooon. Here's a little bit of our prior coverage. 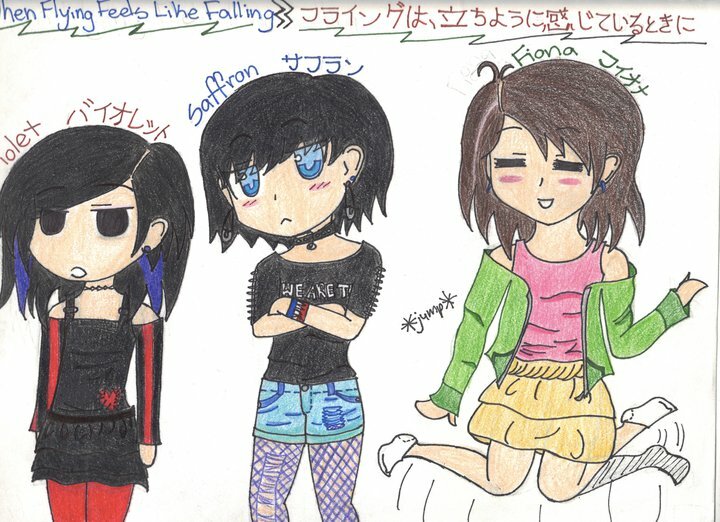 The WFFLF girls on guitar are as colorful as their names--Violet and Saffron. What color is a Fiona?! For now, check out their web site to play a couple of their songs and watch their sweet, very recent Misfits cover below. Follow them on Facebook for upcoming shows, videos and more! **ITS ALMOST HERE! 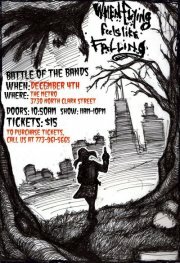 ** We will be playing in Next Big Thing Tour's Battle Of The Bands on DECEMBER 4TH!! Tickets are $15. We're really counting on our awesome fans to purchase tickets! Buy a ticket, and tell your friends! For tickets- Contact one of our members, post on WFFLF's band page, email us at Whenflyingfeelslikefalling09@gmail.com, OR Call us at 773-961-5665! WFFLF took first place at the Next Big Thing Tour! Congrats!